As the weather gets closer and closer to winter, honey bees around the world will soon have to settle in with the stores they have until spring starts blooming with all the nectar they can find. With that fact clear to most beekeepers, the introduction of a new negative, potentially harmful factor could have potentially devastating consequences for the already declining pollinator species. 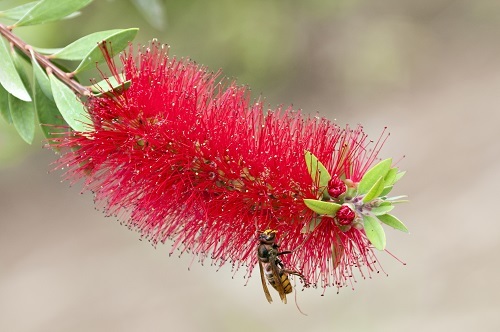 For beekeepers and their bees in the United Kingdom, that new factor is a bee-killing hornet originating from the Asian continent, and sightings of it have confirmed its presence within the UK. With the island of Great Britain facing further issues with their bee populations, the question of whether their government has done enough to protect these pollinators has been asked, with their neighbors across the Irish Sea asking similar questions. Some figures show roughly 40 percent of Irish citizens have taken it upon themselves to protect honey bees, such as planting bee-friendly flowers, reducing pesticide use, and telling others of the important role bees have in our ecosystem. According to Britain’s Department of Environment, Food, and Rural Affairs (DEFRA), work is currently underway to locate and destroy nests of this bee-killing Asian hornet. The most recent sighting of these hornets within the UK was southern England, specifically in the Fowey region of southern Cornwall. Pollinator inspectors with Britain’s National Bee Unit within its Plant and Animal Health Agency have begun monitoring and surveilling a roughly two kilometer-radius around the original sighting. Spence added, “Following the successful containment of the Asian hornet incursion in North Devon last year and Tetbury previously, we have a well-established protocol in place to eradicate them and control any potential spread. We remain vigilant across the country, working closely with the National Bee Unit and their nationwide network of bee inspectors.” With the protocols in place, there should be few issues removing the invasive species and protecting the native honey bees of the UK.